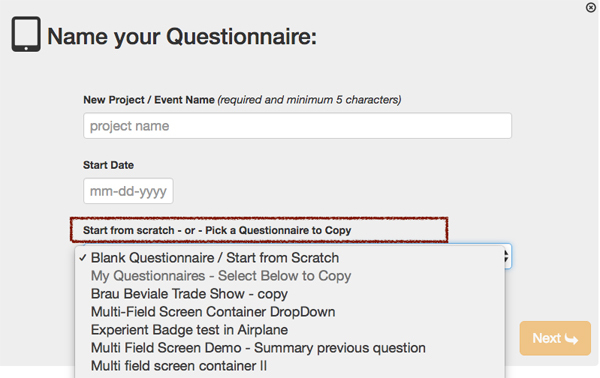 iCapture has made it easy to use old questionnaires as templates for new questionnaires. When you make a copy, all questions will copy over with no captures recorded. You will need to reset your integration connection to the question in the Send Data to Integration tab. The original field mappings will import with the copy. However, we recommend you verify them by clicking "Map Data Fields" before capturing live. Note: This copy will have its own unique install code that will need to be added to your device(s).